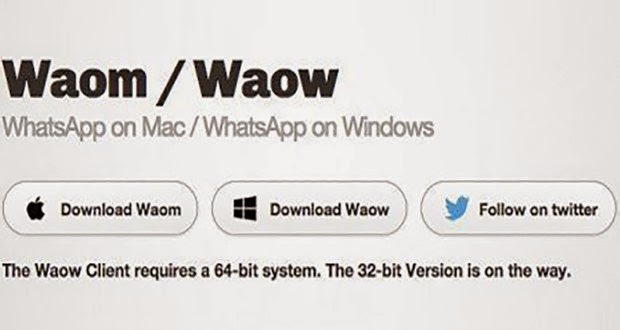 "Ouom" program that allows computer users to use the possibility of applying Instant famous "Whats App " Messaging on desktop computers without a web browser. The program seems, who works Mstql- a similar service for the application, "Watts August" Web and works the same way, where the user must be depicted automated code (barcode) by application of the "Watts August" to be able to use the application Instant Messaging on desktop computers. And then you could use a webcam in office to take pictures of "Alselva" computers, in addition to that it can also send images from the media stored on the hard disk files with sending voice messages smoothly. And similar "Ouom" program with "Whats App Web service" also in terms of devices that are supported by both of them, where he works both with smart phones with Google's Android and Microsoft's Windows Phone and BlackBerry system, but they do not support the smartphone Apple iPhone famous. It is worth mentioning that "Whats App" service provided during the month of January last possibility of using the Instant Messaging application by desktop computers, but this function requires availability of smart phone and Internet connection active, in addition to the need to use the Google Chrome browser.